Enquire now for more information, samples and pricing for this sought-after BSB42615 RTO resource package! These training materials can also be split into separate BSB42615 Learner Guide Only and BSB42615 Assessment Tool Only packages. We offer a range of elective units for this qualification so you can customise your BSB42615 RTO training materials package to suit your RTO’s needs. Get a complete BSB42615 Certificate IV in New Small Business RTO training resources package so your RTO can deliver and assess this flagship vocational education and training (VET) qualification! 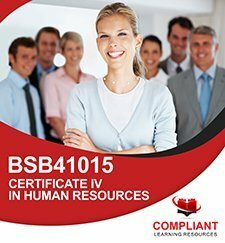 These BSB42615 Certificate IV in New Small Business RTO materials and training resources have been designed so you can deliver quality training outcomes to your students, and produce graduates equipped to work in Business in a variety of professional roles. We also supply you with crucial mapping documents! All assessments in the BSB42615 RTO materials are mapped directly against the relevant unit of competency and verified to ensure every competency requirement has been assessed using appropriate methods of evidence collection. You’ll receive a complete set of mapping documents to support your validation process and to help you at audit. You will receive an unlimited student license, meaning you can deliver and assess training to as many students as you want using this BSB42615 RTO training resource. For more information about the BSB42615 Certificate IV in New Small Business qualification, including currency, vocational outcomes, elements, performance criteria, units requirements, course packaging and more, check the training.gov.au page here – BSB42615 Certificate IV in New Small Business. Your BSB42615 package includes training and assessment materials for sufficient units to form a qualification package according to the packaging rules for this course. You can also add on extra units of competency to your package if you are planning to offer additional elective choices to your students, or need to customise the course outcomes to specific industry or student needs. The BSB42615 RTO materials utilise a range of assessment methods such as short answers, case studies, scenarios, practical observations, multiple choice, projects, and more to form a robust portfolio of evidence of competency at the end of your students’ training. Includes BSB42615 Learner Guides – No Expensive Third Party Textbooks Required! This BSB42615 RTO training resources package includes a full set of learner resources or learner guides – packed full of information and educational content for your students. These will be the “textbook” or study resource for your students while they complete this qualification. 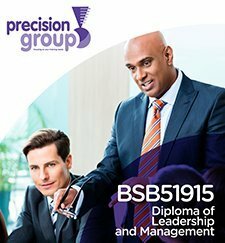 Your BSB42615 training resources from Precision Group include a full set of BSB42615 learner guides in unlocked PDF format on an unlimited student license – meaning no expensive ongoing textbook fees! Your Certificate IV in New Small Business learner guides are ready to be printed or uploaded to your LMS. You may also modify the PDF learner guides – typically clients convert these from PDF to Word format to make editing the learning content easier. You are free to print the BSB42615 learning resources yourself if you need them for classroom-based training; or we have printing services available for the BSB42615 learner resources so can deliver professionally printed and bound resources for additional fees. Many BSB42615 training materials on the market only include Assessment Tools. This means you will be forced to purchase expensive printed learning resources or third-party textbooks on a per-student basis to deliver the course. This can add tens of thousands of dollars to your course delivery costs over the lifetime of the qualification. This training resource package includes a PowerPoint presentation for each unit of competency. These slides contain key learning outcomes for the units to support your classroom or webinar based delivery of the Certificate IV in New Small Business RTO training resources. These are supplied in editable format so you are free to add content, modify the structure to suit your delivery, and otherwise contextualise the RTO materials for your RTO’s version of the BSB42615 course. The BSB42615 PowerPoints are also available separately if you already have RTO training materials and are looking for additional educational content to support your training and assessment resources. Precision’s BSB42615 RTO resource is a self-contained, one-off license RTO materials package, meaning it comes with assessment tools AND learner guides. No additional textbooks or per-student fees required. This BSB42615 Certificate IV in New Small Business training and assessment tools package is supported by the “Virtual Workplace” intranet site “Bounce Fitness” to help prepare your students for the workplace. This site provides your students with access to a huge range of common workplace materials they require for their studies. This may include forms, templates, policies, procedures, case studies and other common workplace documents that students need to access or complete as part of the BSB42615 course. Access to the simulated workplace, “Bounce Fitness”, is included in your upfront license fee for the BSB42615 RTO resources, with no ongoing fees for use as part of this BSB42615 course materials package! The BSB42615 Certificate IV in New Small Business package is modular, with each unit supplied as a standalone set of workbooks and learner resources. This allows you to easy change elective units in your BSB42615 RTO materials package, or reuse the RTO training resources in other qualifications or skillsets you deliver. See the units section for more information on the electives available to design your BSB42615 course materials – we are able to add extra elective units into your package so you can deliver different versions of the BSB42615 course according to the needs of your students and industry. Please contact us for a customised quote on your BSB42615 training resources including extra elective units! Enquire now and get this premium BSB42615 Certificate IV in New Small Business RTO training resources package for your RTO today! BSB42615 Certificate IV in New Small Business Learning Resources Package Includes 10 Units of Competency! As part of this Certificate IV in New Small Business Learning and Assessment Resource package, you will receive learner guides, assessor guides and assessor workbooks for a full 10 units of competency. You can choose from the available electives to design a package to deliver learning outcomes useful in a wide range of New Small Business settings. Precision Group also offers the option of printed BSB42615 training resources. Please contact us for more information about how to get professionally printed RTO training materials for your BSB42615 course. If for some reason your auditor isn’t satisfied with the BSB42615 assessment tools and believes rectifications are required, simply contact us while the audit is ongoing as in many cases we are able to help you demonstrate to your auditor how the RTO training materials work and collect evidence of competency for each unit requirement. If the auditor still isn’t satisfied, provide us with a copy of the official audit report as it relates to this RTO training resource as soon as possible. We’ll be happy to assist with rectifications of the BSB42615 assessment tools based on the auditor’s feedback within 21 business days of receiving your audit report. This RTO training materials package was created by the development team at Precision Group (Australia). 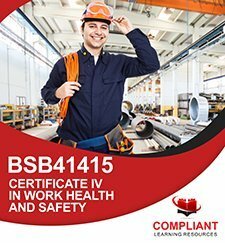 They provide ongoing support for this product in the form of quality and compliance updates as changes are made to the BSB42615 training package or they receive feedback from students, trainers and auditors. Simply let us know if you’re experiencing any issues with the BSB42615 RTO materials and we’ll be happy to be of assistance where possible.